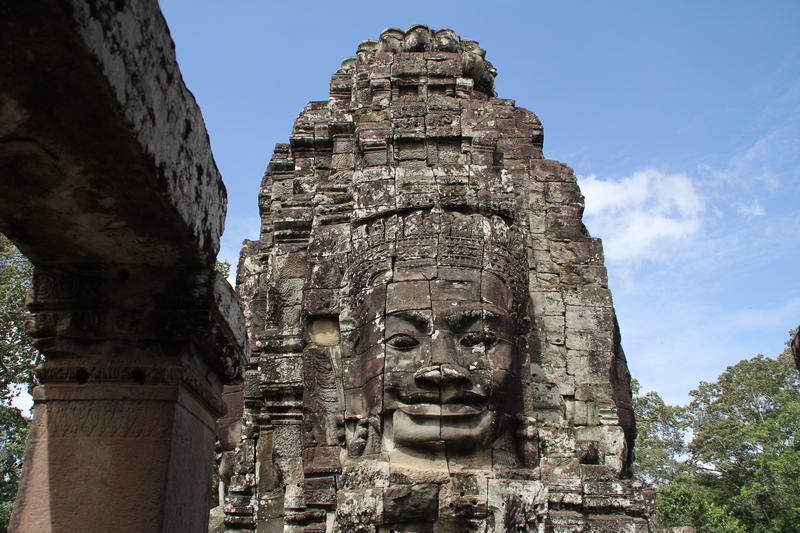 The Bayon temple is situated in what used to be the capital; Angkor Thom. 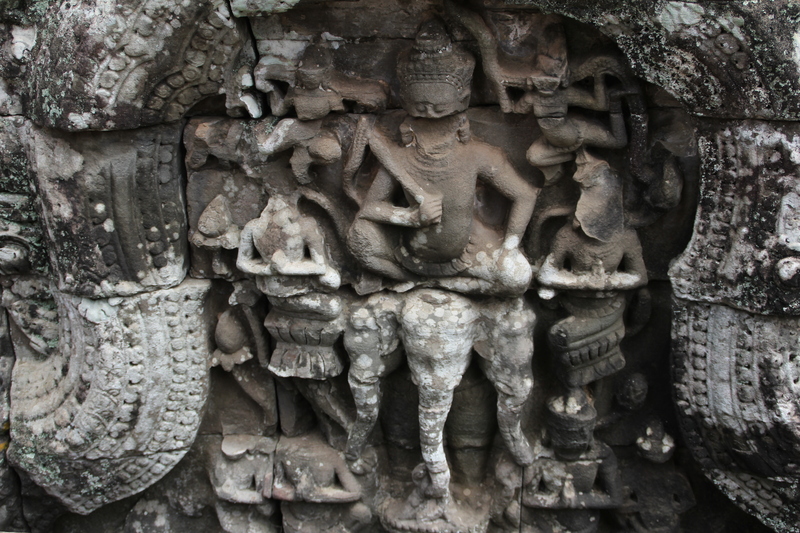 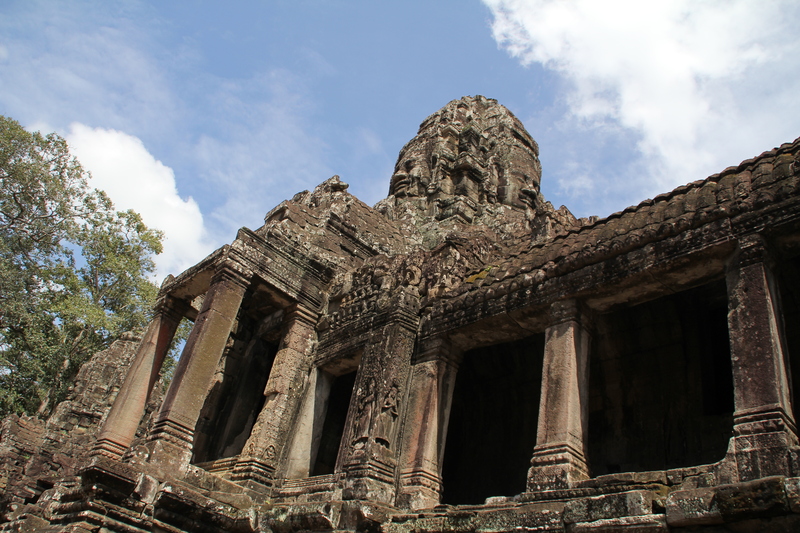 The temple was built in the 12th – 13th century for Jayavarman VII and was the official state temple of the capital. 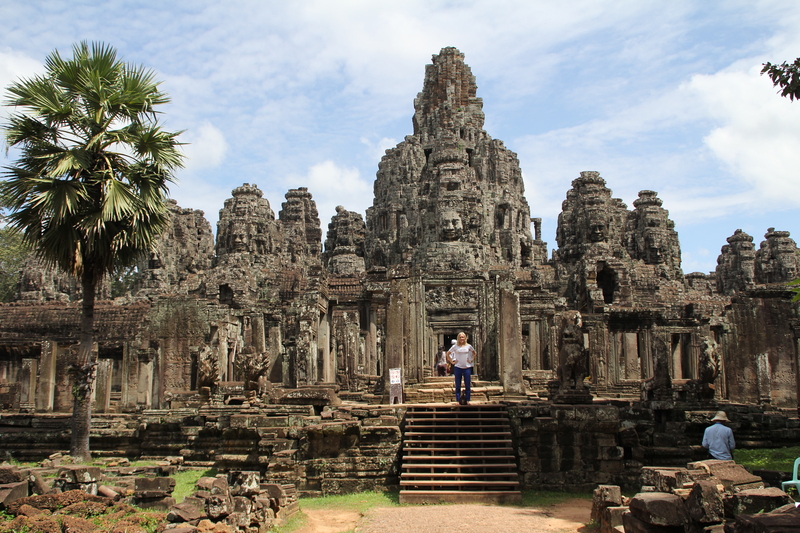 The Bayon has a very baroque Khmer style when comparing with the more “classical” style of Angkor Wat. 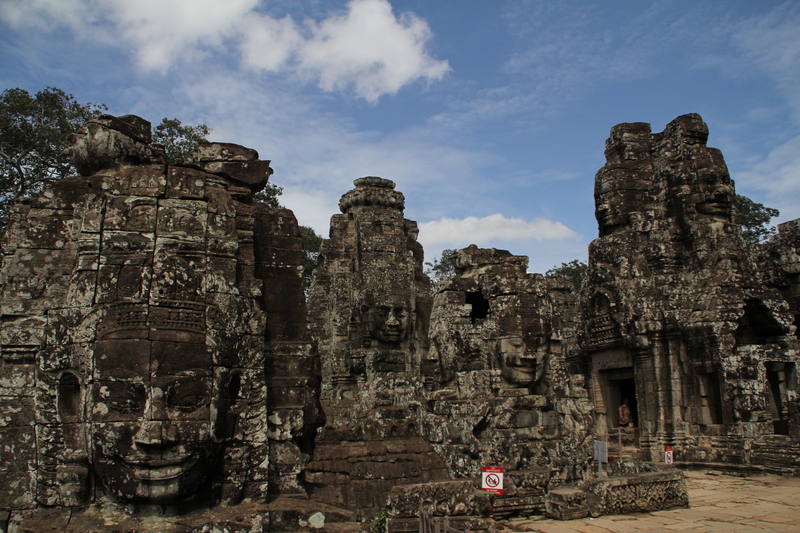 In this temple you will find a huge number of stone faces, they are all very detailed and it is truly stunning to walk around here.